Enjoy a pirate-themed cruise along the Famagusta coastline. Join Jack Sparrow’s Pirate Ship as a member of his crew. 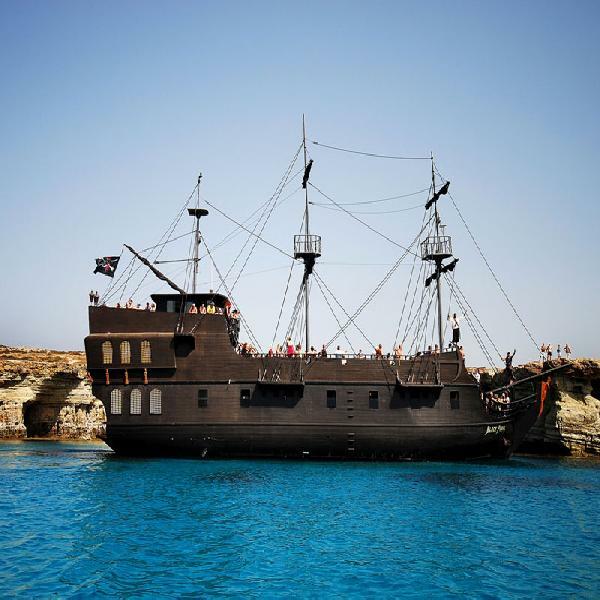 This is truly one of the best themed day cruises in Cyprus! 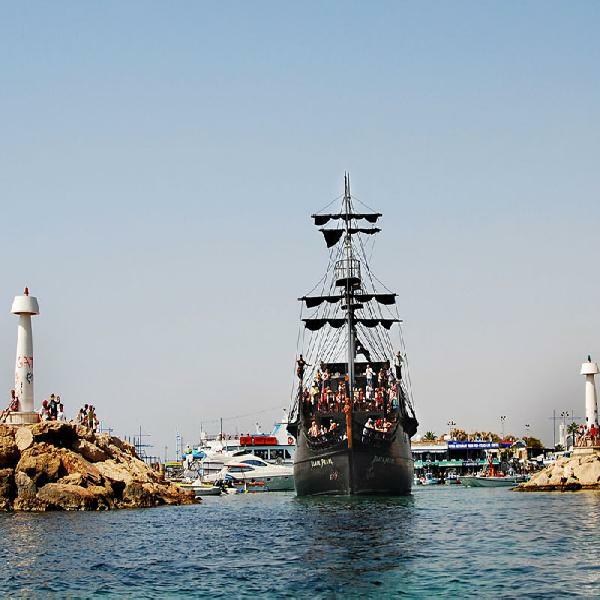 Your Black Pearl Pirate ship adventure leaves from Ayia Napa harbour. Set sail on-board this 3 level Pirate Ship for a 4-hour cruise along the Famagusta coastline. This is a day when all the family can be together, laughing along with the Cannon and Pirate show. You will have a blast with the Swashbuckling Live Entertainment. Kids will enjoy the on-board treasure hunt. 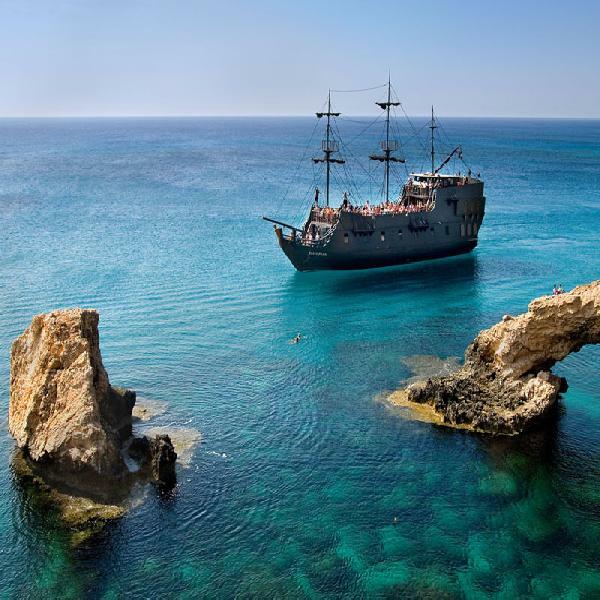 Several swimming breaks will keep you cool. Swim in the warm Mediterranean Sea and soak up the rays of the sun. 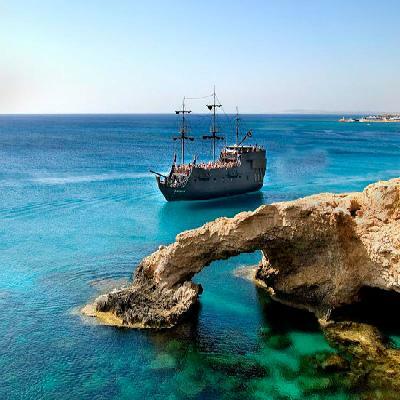 You will also get the chance to see and photograph some of Cape Greco's most popular sights. 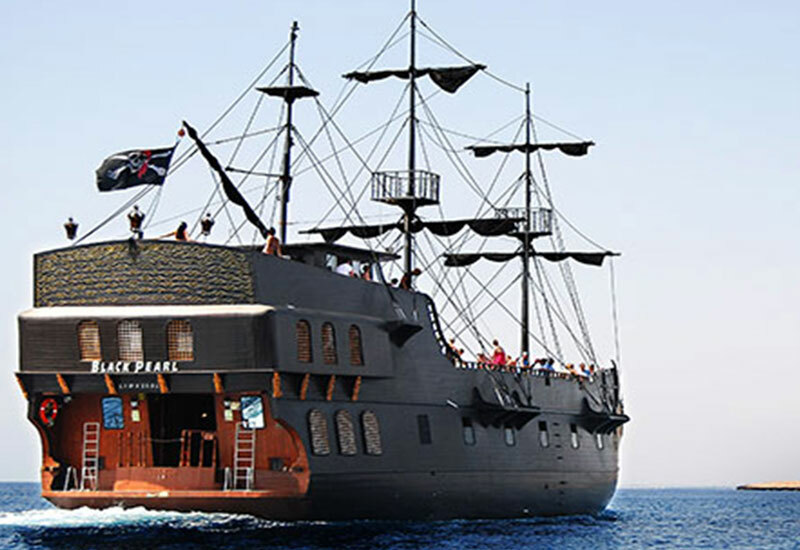 Enjoy a pirate-themed buffet lunch on board, and a fully stocked bar (any beverages are optional). Your day-cruise ends when you return, tired but happy, to Ayia Napa Harbour. 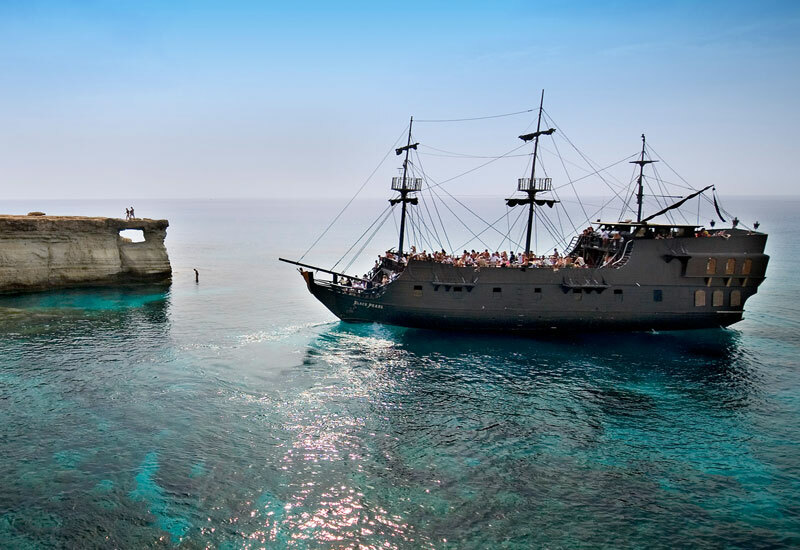 You will be transferred and dropped off at your hotel. Restrictions: Due to safety reasons, we do not recommend this cruise to guests with disabilities.